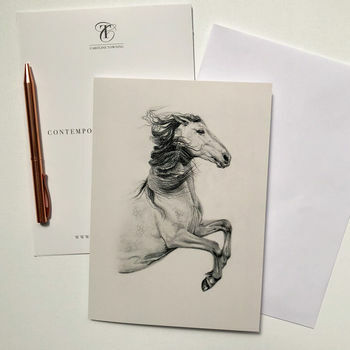 Horse greeting cards to mark a special occasion great to use for a thank you card, birthday or to tell an equestrian you love them. Tell a horse lover you love them with this elegant horse greeting card. 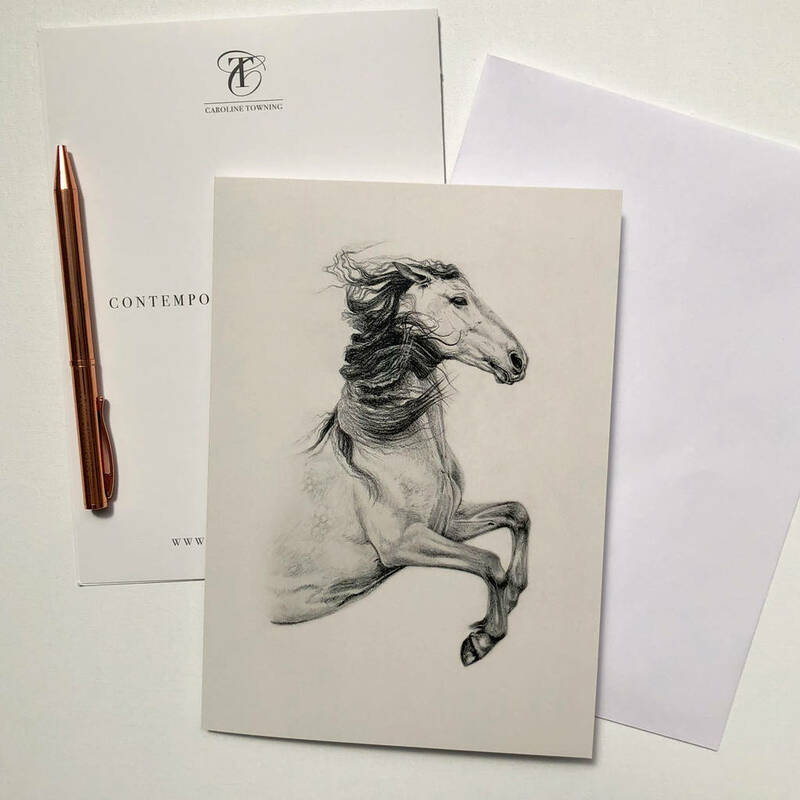 These horse art cards could make beautiful thank you or any special occasion cards. The message inside is blank. A5 greeting card packaged with an envelope in a cello bag. All cards are printed from a susanaible source in the UK. All cards are printined in the UK. A4 cards packaged with an envelope in a cello bag.